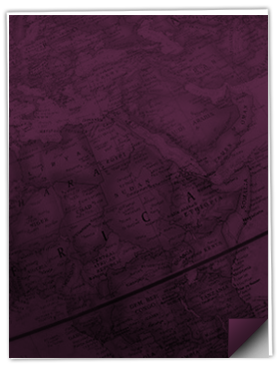 June 2014, Issue 146 | Samuel Shapiro & Company, Inc.
On May 7th President Obama announced that he will issue a proclamation withdrawing Russia as a beneficiary developing country under the Generalized System of Preferences (GSP) program. The justification for withdrawal of preferential treatment under the program was cited as being Russia’s advancement in economic development and trade competitiveness over less advanced developing countries. The primary criterion utilized for the change was Russia’s designation in the high income category this year by the World Bank. Canada and the European Union have already removed Russia from their respective preference programs. Generally, said proclamations officially remove benefits approximately 12 months after the issuance. As economic sanctions are also being implemented against Russia for its recent aggression in the Ukraine, removal from benefits may occur in a shorter period, although that remains to be seen. Regardless, removing Russia’s benefits will have no immediate effect since the GSP program is expired; although it is hopeful that the program may be reinstated sometime this year. $296 million of imports were entered from Russia in 2013 making them the 9th largest beneficiary in the program. Although the move may escalate tensions between Washington and Moscow, it could also accelerate the renewal of the GSP program, which expired July 31, 2013. Russia’s participation in the program has been named as a primary factor to why GSP hasn’t been reinstated. Once removed the program may have an easier track for reauthorization. In other GSP news, the question of liquidation for GSP entries has come up. The average liquidation cycle is about 10 months, so entries made in August 2013 will be liquidating shortly. So should importers start filing protests or requesting suspension of liquidation in order to preserve their rights to a refund in the event GSP is renewed retroactively? Customs heard the rumblings from the trade and on May 16th advised in a Cargo Systems Messaging Service (CSMS) message that importers and brokers should not file requests to stop the liquidation of entries that would be potentially eligible for GSP duty free treatment under a renewed GSP program. CBP stated that it lacks the ability and authority to extend liquidations on entries pending the possible renewal of the program. Requests to extend liquidations or protests under 19 CFR Part 174 should not be used to stop the regular liquidation process. So at this time, there is no action for importers to take except to wait for Congress to get some GSP legislation going. We will continue to keep you updated. U.S. Customs and Border Protection (CBP) began full enforcement of Importer Security Filings (ISF or 10+2) on July 9, 2013. Customs stated that every liquidated damages enforcement action instituted at the port level would be reviewed by CBP headquarters for a period of at least one year. On May 13th, Customs reset the twelve month review period so that the current enforcement review will expire on May 13, 2015. The review period could be extended if necessary according to Customs. Due to the start of a new enforcement review period, Customs will not be issuing any more liquidated damages for violations that occurred prior to May 13, 2014, except in cases of fraud or criminal activity. ISF enforcement will focus on the truly severe violations such as “significantly” late ISF’s, failure to file an ISF, and repeated ISF violations that continue to impact CBP’s ability to target cargo prior to arrival in the U.S. How Customs determines whether an ISF is significantly late will depend on the length of the voyage. Cargo that arrives without an ISF filed will be considered significantly late and will likely be subject to a hold or exam. One of the big changes in enforcement strategy will be the issuance of warnings. Importers will receive three ISF violation warnings before the port can recommend a liquidated damages claim to headquarters. The local port will contact the importer via email, phone, or letter after each violation to help the importer comply to prevent further violations. The violations will be tracked nationally by Customs, so importers will not be able to rack up three warnings per port. Customs also stated that liquidated damages claims for ISF violations will be issued within six months of the violation. Customs still retains the statutory right to issue claims up to 6 years after the violation, but this would be unlikely except in the event of fraud or criminal intent. CBP’s goal is to ensure the violation and subsequent liquidated damages align with the intent of the enforcement strategy. In our June 2013 issue of Shap Talk, we covered proposed changes for certificates of compliance with the Consumer Product Safety Commission (CPSC). In a Federal Register notice from May 2013, CPSC was proposing to require that certificates be filed electronically with Customs at the time of entry, among other rule changes. In a meeting held in May 2014, CPSC has decided to delay making changing to its regulations concerning certificates of compliance until they receive more feedback from industry. In a May 7th letter to the Consumer Product Safety Commission (CPSC) Acting Chairman and Commissioners, 41 industry associations voiced their objections and concerns to a CPSC proposed a user fee on imported products to pay to expand its Risk Assessment Methodology (RAM) program. The fee was included in CPSC’s 2015 budget request. The letter questions if CPSC has the statutory authority to impose such fees and raises concerns about the cost of the RAM system, and the burden a user fee would place on the trade, as well as potential clearance delays at the ports. The letter challenges CPSC about the expansion of RAM and the user fee as to how they would meet the goals of President Obama’s Executive Order on Streamlining the Export/Import Process for America’s Business. The letter also asks CPSC to engage stakeholders on the issue. On May 13, 2014, the Department of State and the Department of Commerce, Bureau of Industry and Security (BIS), published companion rules in the Federal Register detailing information and comments received for United States Munitions List (USML) Category XV (Spacecraft and Related Articles). The State Federal Register Notice may be found here and the BIS Federal Register Notice here. These rules are a part of the Export Control Reform Effort started by the President in response to U.S. industry concerns that U.S. businesses were being passed over for contracts because of the narrow restrictions put upon them by the United States Munitions List (USML). Great strides have been made in many categories of the USML and now almost one year after the proposed rule for Category XV was published, State has issued an interim final rule and BIS has issued a proposed rule. These agencies recognize there will be more comments on certain aspects of the rules, and acknowledge assessments and refinements will be made on an ongoing basis. This is good for all the exporters and manufacturers of satellites, spacecraft, and related articles. It provides an avenue for comment, and comments are encouraged by State and Commerce. Many things had to happen in order for these rules to be published. A change had to be made to Public Law 105-261, section 1513 dating back to 1999, where all satellites and related items were transferred to the USML. In 2010, the Secretary of State and the Secretary of Defense made an assessment of the risks associated with removing satellites and components from the from the USML. The result of the assessment identified certain satellites and related items that are more appropriately subject to the Export Administration Regulations (EAR) under the Commerce Control List (CCL). The changes to the controls on radiation-hardened microelectronic microcircuits take effect 45 days after publication of the rule on June 27, 2014. The remainder of the changes take effect 180 days after publication on November 10, 2014. Many recommendations were made; some were taken and many recommendations were not accepted. The trade is encouraged to keep commenting as State and Commerce evaluate everything. Each rule has its own comment period and we encourage exporters of space related items to comment while the agencies are listening. Look for a new “500 series” (as BIS has named them) of Export Control Classification Numbers (ECCNs) 9X515, which will control satellites, and manned and unmanned space vehicles that do not appear on the USML, Category XV. As with the “600 series” of ECCNs, there will be certain filing requirements. There will be more to come as everyone works through these rules. The shipping industry holds its collective breath in hopes that the talks between the ILWU and port employers on the U.S. west coast work out as their six-year contract expires on June 30, 2014. When July 1 comes around, both sides could agree for an extension of the current contract for a period of time, which would keep the “no strike provision” of the 6-year agreement intact or they could decide to continue negotiations without a contract in place. If they don’t come to an agreement then the fears of U.S. importers and shippers will be realized as a work stoppage could occur. 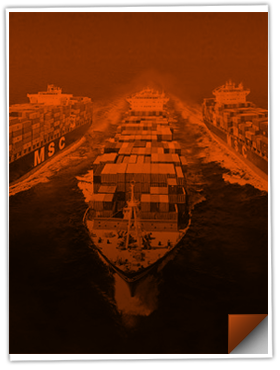 Many shipper organizations have told their members to prepare for work stoppages and already many companies have put their contingency plans in place to ship via the U.S. east or gulf coasts or via Canadian or Mexican ports. For this reason, carriers have announced Congestion Surcharges should the work stoppage occur for any cargo imported to or exported from the U.S. via U.S., Canadian, or Mexican ports. The amount is $800/20’, $1000/40’, $1125/40’hc, $1266/45’ and $25 w/m for LCL. It would be wise to plan, book ahead and coordinate with logistics professionals to determine the best alternative routing options to avoid delays caused by either a possible work stoppage or congestion delays caused by the inevitable rush of cargo that will arrive prior to the deadline. The carriers have filed a Peak Season Surcharge (PSS) with validity of June 15, 2014 with a quantum of $320/20’, $400/40’, and $450/40’HC. There has been a rush of cargo to the U.S. east coast in the weeks leading up to peak season so it is expected that the PSS will take hold at a higher rate to the U.S. east coast, and this rate could be mitigated down for shipments to the U.S. west coast. It is expected that the peak season could be short-lived as long as there is not a substantial work slowdown at the U.S. west coast ports. Higher capacity levels are expected to come on board in July, and it is very likely that rates will go back down to pre-June 15 levels at that time for the remainder of the year. Misdeclared container weights have been a longstanding problem for carriers as they present safety hazards for the workers handling the loading of the cargo at port facilities as well as safety hazards on our highways. Misdeclared container weights have been a concern for Customs as well. As a result, the Maritime Safety Committee (MSC) of the International Maritime Organization (IMO) has approved changes this month that will require verification of container weights as a condition for loading packed export containers aboard ships. The IMO has also approved a new Code of Practice for the Packing of Cargo Transport Units, which include shipping containers. 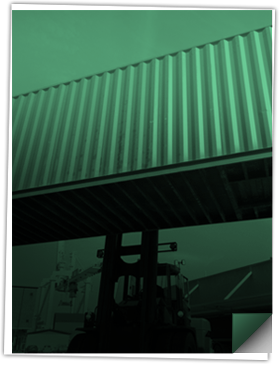 The new code provides information and guidance to shippers, packers, and other parties in the international supply chains for safe packing, handling, and transport of transport units such as containers. See the World Shipping Council website for more information on the new weight verification rules. The guidelines for packing containers may be found here. Several carrier alliances are forming that will be impacting the transatlantic trade in the coming months, including changes in service. The G6 alliance – APL, MOL, Hapag-Lloyd, Hyundai Merchant Marine, NYK Line, and OOCL – has announced that there will be temporary reductions in space allocations and port-pair connections between mid-May and the end of June. The alliance will realign its services and it will offer new network configurations. The P3 alliance – Maersk Line, MSC, and CMA CGM – is still waiting approval from the government of China, therefore it cannot announce the effective date of its alliance services. The P3 alliance has not been approved by the officials in the EU, however it has been approved by the U.S. Federal Maritime Commission. We do know that CMA will be calling Baltimore directly from Europe in addition to the usual ports of New York, Norfolk, Charleston, Savannah, and Miami. Maersk has said that it wanted to wait for the effects of peak season on the transpacific service to take effect, which would mean the earliest we could see sailings on this new alliance would be the second half of 2014. Maersk has stood alone by announcing that the new service changes would go in effect for its company this month, but MSC and CMA have not made any service announcement changes yet. The CKYHE Alliance – COSCO, K Line, Yang Ming, Hanjin, and Evergreen – has limited transatlantic service coverage and there are no expected service updates from alliance members at this time. The carrier alliances are expected to offer their customers greater allocation and more comprehensive service offerings with improved speed, efficiencies, and a better range of port pair connections to and from Europe. Continued political unrest in Thailand has resulted in the Thai Army taking over the country’s government in an attempted coup declared by military leaders. As a consequence, a curfew has now been imposed from 10.00 pm until 05:00 am which will run until further notice. Although both Thai airports and seaports are operating as normal, the implementation of the curfew could possibly result in delays for shipments by air and sea. Due to severe congestion at Rotterdam terminals, carriers are reporting delays of up to two days. A combination of system outages, labor shortages, and late arrivals of deep sea vessels has hampered the port at the Delta Terminal. Despite softening freight rates, increased container volumes coupled with lower unit costs brought Maersk’s operating profit to $454 million, a 123% increase from the same quarter in 2013. As a result, the line expects to exceed its previous 2014 prediction of “being in line” with its 2013 profits. Container volumes for Maersk rose 7.3 percent while rates dropped 5.1 percent. Volume increasing at a faster rate than the cost decrease contributed to Maersk’s success. Overall, international container demand is expected to continue to increase by around 4-5 percent this year. As the demand rises, Maersk is continuing to reign in capacity by slow-steaming, and idling vessels in its fleet. The port of Hamburg has achieved 2.4 million TEUs so far this year. This represents a growth of 8 percent, beating market growth steered by China and Hong Kong traffic. Trade with Asian countries rose 9 percent. Russia remains Hamburg’s second biggest partner. Russian trade hasn’t suffered from the Ukraine crisis, and traffic with Russia has increased by 4 percent. Hamburg’s significant container volume growth left rivals Antwerp and Rotterdam behind with respectively 0.9 percent and 0.3 percent in the first quarter. One of the main reasons is the growth in transshipment volumes into the North Sea and Baltic region which increased by 6.5 percent. Hamburg port serves as a transfer hub, with containers from Asia moved to smaller feeder vessels destined to the Baltic Sea. Its proximity to Eastern Europe makes Germany’s largest seaport a major European freight hub. Zim Recently announced a new US Gulf and East Coast service to South America, the Carribbean and Central America in collaboration with MSC beginning Mid-June. North-South Express Service (XNS): Norfolk – New York – Baltimore – Savannah – Freeport – Caucedo – Santos – Buenos Aires – Montevideo – Rio Grande – Navagantes – Santos – Salvador – Suape – Freeport – Norfolk. New Gulf Brazil Service (GBS): Cristobal – Kingston – Veracruz – Altamira – Houston – Kingston – Cristobal – Port of Spain – Santos – Navagantes – Paranagua – Rio de Janeiro – Vila De Conde – Cristobal. Caribbean Gulf Express (CGX): Caucedo – Kingston – Tampa – Mobile – New Orleans – Houston – Caucedo. Promoting international cargo and passenger growth, Atlanta’s Hartsfield – Jackson International airport is giving incentives of waived landing fees to airlines with new international routes not yet served from Atlanta. The growth incentive starts this summer and gives applicants a chance at a year of waived landing fees and cargo carriers a waiver of parking fees at the cargo area. In addition, with focus on emerging economies, a two year incentive program is being offered to carriers with new service to Brazil, Russia, India, China and South Africa. Shapiro recently announced the promotion of Garrett Frankford from Import Manager to Branch Manager of its Philadelphia, PA office. Garrett Frankford, a graduate of Temple University’s Fox School of Business, started with Shapiro in 2007 as an Import Coordinator, quickly rising to Import Supervisor. Upon receiving his Customhouse Broker (CHB) license, Frankford advanced to the role of Import Manager in 2010. As Import Manager of Shapiro’s Philadelphia operations, Frankford was instrumental in developing a creative, customer-centric operations team while ensuring superior and compliant customer service. Frankford’s most recent notable accomplishment includes the development and implementation of Shapiro’s paperless operating system. In a strategic move to expand its leadership team, Shapiro announced the promotions of Matthew Kobussen and Angela Czajkowski from managerial to directorial positions at its headquarters in Baltimore, MD. A graduate of the University of Vermont, Matthew Kobussen joined Shapiro 11 years ago as an Import Coordinator and quickly rose to Import Manager upon receiving his Customhouse Broker (CHB) license. Kobussen’s extensive logistics expertise and commitment to customer service was soon redirected towards the international transportation segment of Shapiro’s business when he accepted the role of Global Logistics Manager. In his role as Director of Global Logistics, Kobussen will focus on optimizing Shapiro’s customer-centric freight strategy while leading a team of talented logistics professionals who thrive on crafting dynamic transportation solutions. Angela Czajkowski started with Shapiro as an International Region Specialist in 2006 and was soon advanced to National Account Manager as Shapiro’s increased need for rate negotiation and routing design for top customers emerged. Her last role as Global Supply Chain Manager involved the supervision of a team dealing with high volume, high complexity, multi-lane, multi-modal accounts. Czajkowski’s experience in supply chain management, contract rate negotiations, and key role in the development of Shapiro’s Purchase Order Management product propelled her elevation to her newest Shapiro role of Director of Supply Chain. Czajkowski is a graduate of Wheeling Jesuit University with a degree in International Business, and holds a Masters in Supply Chain Management from Towson University. As previously featured in Shap Talk, Shapiro has been sharing with you the names of employees who have been recognized for their exceptional efforts and contributions to our Company. At Shapiro, we continually work to develop, challenge, and inspire all of our employees to grow individually and with the Company. This month, we would like to recognize Deema Reisman, Global Logistics Supervisor in Atlanta, for her outstanding performance and contributions.